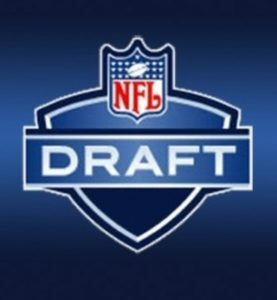 The Cleveland Browns hold the #1 overall selection again this year and have a bumper crop of draft choices including two first round picks, the #1 and #4 overall in the process. They hold three #2 selections giving them 5 of the Top 64 draft choices. New GM John Dorsey addresses his first draft classes for a franchise mired in a decade plus of poor decisions related to personnel both in the NFL Draft and Free agency. They have faltered especially choosing their QB with multiple busts including the cursed #22 overall selection that involved QB prospects, Brady Quinn, Brandon Weeden and Johnny ‘Football’ Manzel over the past decade. This is a club that traded out of the #2 overall pick just two years ago, passing on either Carson Wentz or Jared Goff both of whom had huge breakout 2017 seasons. 1 Quarterback – The Browns get a chance to end the QB saga. Just two years ago they held the #2 overall pick and a chance at either Carson Wentz or Jared Goff and they traded out for extra picks. They went 0-16 last season. That’s a O in the win column. They have been a disaster for over a decade especially related to the QB decision. Last season, their offense finished 31st in rushing and one of the lowest scoring clubs in the league. They traded for vet Tyrod Taylor, a good bridge QB until the new blue-chip prospect is ready. They traded young QB Deshone Kizer for DB Damarius Randall and later swapped picks. They have Sam Darnold rated their #1 passer and are prepared to select him. They may begin to negotiate with him the week prior to the NFL Draft 2018. HC Hue Jackson drafted Kizer and Cody Kessler over recent years along with signing RG3. They may not be more than career backups. They also hold the #4 overall pick this year and have blue chip runner Saquon Barkley, DE Bradley Chubb and OG Quenton Nelson on their short list. Chubb and Barkley are very good fits here. 2. Cornerback – The Browns secondary improved last season after huge coverage issues in 2016. Nevertheless, they allowed the 2nd most point in the NFL in 2017. They have struggled in coverage since parting ways with veteran Joe Haden. They could address this position with the #4 overall pick with Denzel Ward. They also like a few corners in the early 2nd round and like Josh Jackson and Carlton Davis. They need to address this area in the early rounds with quality starters. They like Isaiah Oliver and Anthony Averett in the late 2nd round and both would be excellent additions. 3. Offensive Line – The Browns’ perennial All-Pro LT Joe Thomas retired after his 11th season. He was truly a HOF performer who played for a terrible team. His retirement leaves a huge opening on the outside and an area they look to address with one of their early selections. They may use their first #2 pick on Kolton Miller a huge left tackle prospect. They also like Brian O’Neill on the 2nd day and see him as a LT in time. They have subpar depth and will probably look to add at least two linemen with one a developed tackle. 4. Defensive Line – The Browns traded Danny Shelton to the Patriots with a 5th round pick this year for a 3rd round pick in the NFL Draft 2019. They like Maurice Hurst in the early 2nd round and see him as the interior penetrator they have been lacking. They also like Harrison Phillips and Tim Settle in the 2nd round. They may use one of their three 2nd round picks here with BJ Hill and Nathan Shepherd probably available with the 64th overall selection. The Browns face the most pivotal draft class in their history after recent colossal mistakes. They hold 5 of the top 64 selections and 9 overall draft choices. They have been a struggling franchise the past decade with continuous major mistakes at QB and ongoing staff and system changes. Passing on Carson Wentz two years ago was inexcusable. They hold two #1s this year the first and fourth overall selections. They most likely hold the top pick and choose the QB they like the most – Sam Darnold. Their extra draft choices give them leverage to move within the top rounds. They face a critical draft class with many pressing needs. With a high number of selections, they have the luxury of dipping into the deep running back, linebacker and defensive back classes. They added several skill positions like receivers, Jarvis Landry and re-signed talented Josh Gordon to give them a potent receiving corps entering camp. Running back Carlos Hyde can be a workhorse back in Ohio and can be a force entering his prime. They will most likely focus on offense early with defense at linebacker and corner getting a high priority. 1st Round Pick – QB Sam Darnold – Young franchise type passer has the talent to be among the best in the game if given time. 1st Round Pick – DE Bradley Chubb – Great bookend edge rusher opposite last year’s top pick Myles Garrett. Alternate Pick – Josh Rosen – Slick throwing junior has the talent, but must prove durable in the NFL.